12 A None No Power Seat 12 A is in the last row of the plane and seats in the last row of this plane often feel cramped. 12 C None No Power Seat 12 C has extra legroom due to the missing seat in front. However this seat is in the last row of the plane, and seats in this row often feel very cramped. 12 D None No Power Seat 12 D is in the last row of the plane and seats in the last row of this plane often feel cramped. 12 F None No Power Seat 12 F is in the last row of the plane and seats in the last row of this plane often feel cramped. 2 A None No Power Seat 2 A has some extra legroom due to the Exit Row in front. However the exit door may protrude and restrict leg space. The front of the plane is particularly noisy due to the proximity of the propellers. The aisle side armrest is moveable, which can provide some extra width for this seat. 2 D None No Power Seat 2 D can have some extra legroom. The tray tables are stored by the flight attendant and attach onto the armrests. While this may be bothersome, it allows for the armrests to be moved upwards for more space. 2 F None No Power Seat 2 F is a standard Economy Class seat. The tray tables are stored by the flight attendant and attach onto the armrests. While this may be bothersome, it allows for the armrests to be moved upwards for more space. On some versions of this aircraft there is a flight attendant jump seat located opposite of this seat, which may be bothersome. 3 A None No Power Seat 3 A is a standard Economy Class seat, however this row is missing a window. 3 F None No Power Seat 3 F is a standard Economy Class seat, however this row is missing a window. 6 A None No Power Seat 6 A is a standard Economy Class seat that has limited recline due to the Exit Row behind. 6 D None No Power Seat 6 D is a standard Economy Class seat that has limited recline due to the Exit Row behind. 6 F None No Power Seat 6 F is a standard Economy Class seat that has limited recline due to the Exit Row behind. 7 A None No Power Seat 7 A has extra legroom due to the Exit Row in front. 7 D None No Power Seat 7 D has extra legroom due to the Exit Row in front. 7 F None No Power Seat 7 F has extra legroom due to the Exit Row in front. This aircraft is used for very short haul flights. There is very little onboard storage, including under the seat or in overhead compartments. There is the least amount of space under A seats. There is no seat recline, inflight entertainment, or power aboard this aircraft. Not a bad seat, but a bit uncomfortable due to the curvature of the plane. Not much engine noise considering that it is nearly outside the window. This plane is slow. 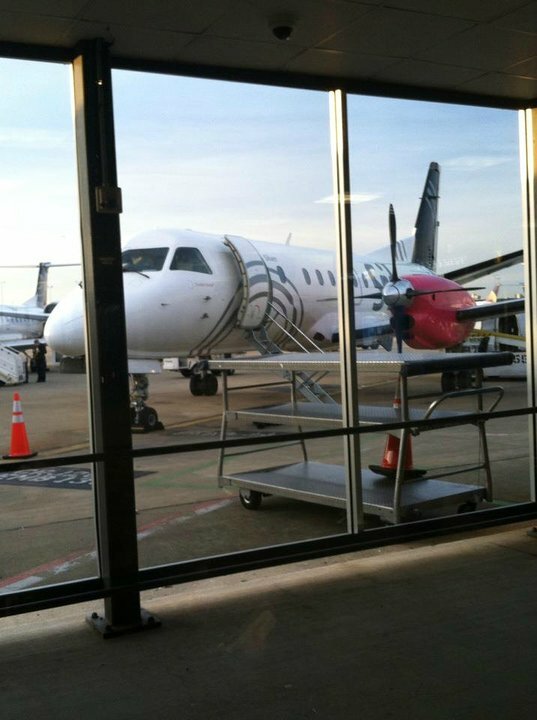 It is a prop after all not a jet so it feels like you just creep along. Row 6 seats do not recline, since they are in front of an exit row. this is the worst seat on this type of aircraft also seats 3 on the opposite side.passengers please note there is no view at all from the window hence the window is closed off. Most crammed commercial airplane I have ever been in. My friend, who was based out of Chicago with United for almost ten years, warned me about the discomfort of these airplanes. I had to sit in row 8 even though the flight was empty for weight and balance issues, but I recommend rows 1 and 7 for the best comfort though. It was a short flight was the best thing. Good seat with a ton of leg room. There is no armrest on the window side of the seat, being most Silver flights are around an hour it wasn't too annoying. 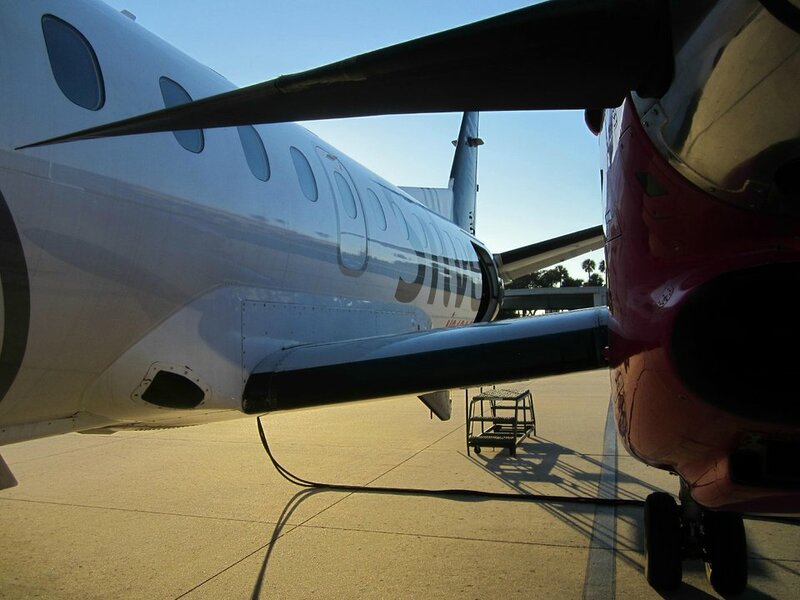 As a former flight attendant on Saab 340's, sit towards the rear for a quieter ride. 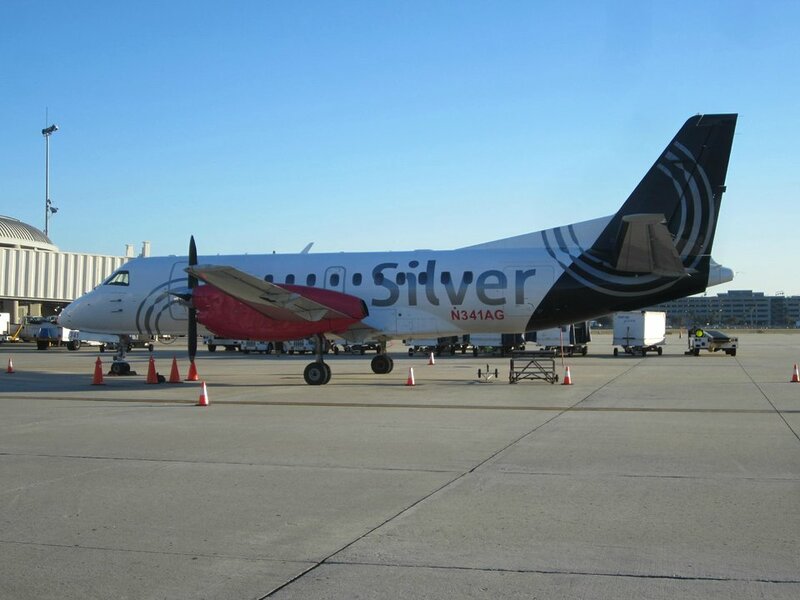 Despite the touted "10 decibel quieter" claim of Silver Airways, their Saab 340B was the noisiest plane I've ridden to date. I'd hate to hear it without their special noise canceling design. I'm generally the type who never even notices engine sounds that my fellow travelers complain about, but this one was enough to annoy me. I ended up throwing the headphones on and cranking up the volume. The SF3 is a great little plane, but seat A11 is definitely not optimal. The air conditioning is right behind you above row 12. It's not only loud, but it blows right on your head. 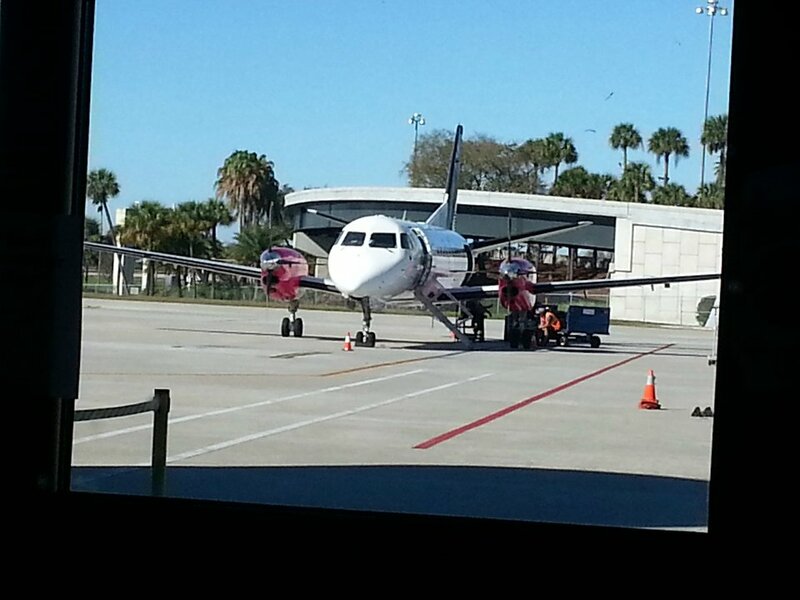 United flies 1 versions of SAAB 340.